In the seminar, we’ll share some useful tips on graduate students’ research activities provided by the UNIST library. 3 types of websites to search for articles: Google Scholar vs. Scopus vs. IEEE/ACM, etc. Yulee Kwon has been a librarian of UNIST library since 2009. She has offered various library services to UNIST members such as managing electronic resources, library classes, document delivery service, etc. 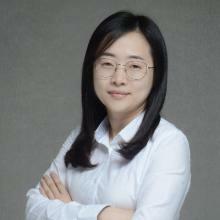 Now she is in charge of library classes for graduate students, research achievements management, collecting and disseminating theses and dissertations and operating institutional repository, etc. ECE Colloquium: Wongyu Ted Cho(Sk..